"I'd say, 1940s/1950s pin-up girls. I believe in the culture." 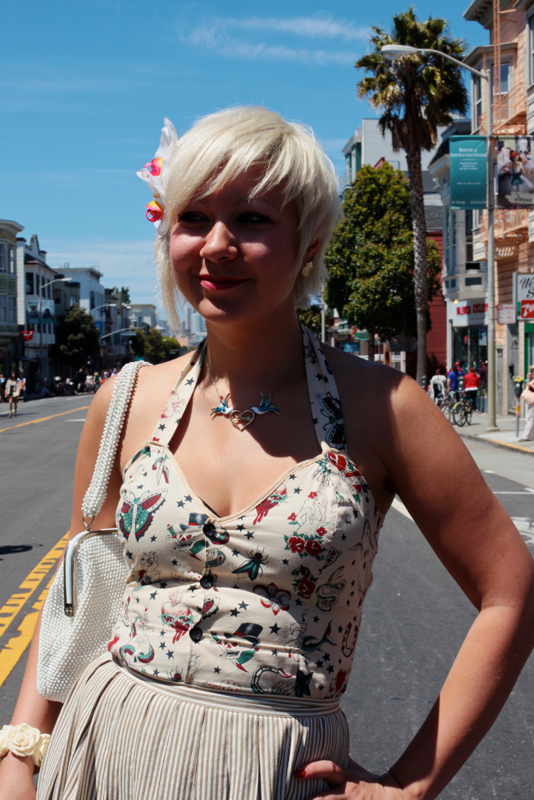 Halter top, tattoo iconography, beaded handbag, and bleached out white hair with a flower in it... What's not to love? Melanie is a feast for the eyes. 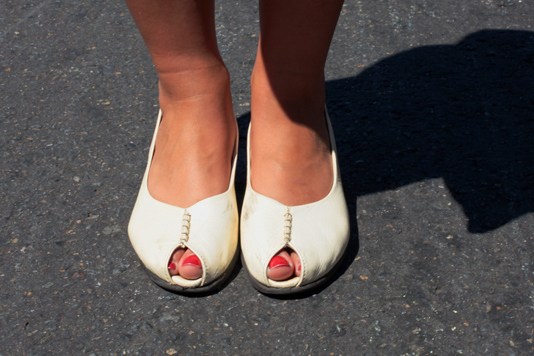 Peep toe flats that have that 1930s feel. Very pretty. I love how the patterns and colors work with her own coloring. I adore the birdie necklance and rose bracelet too! Thanks for putting these pics up!